We’re a little past midway through October and in majority parts of the country has made for some rather nice temperatures in the evening. With that in mind and knowing you might have visitors, ever given thought of possibly replacing what you currently might have in your fire pit? Pulverized and ashy logs really discouraging your efforts in wanting to clean out your fire pit? If you’d want to keep up with today’s trends you may consider using fireglass as a replacement. Why you ask? 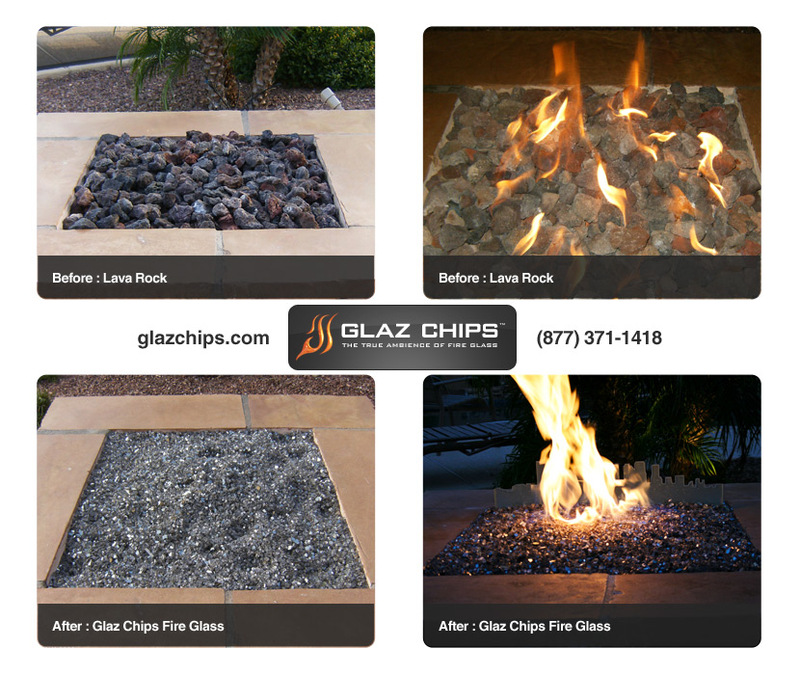 Fire glass is by far a clean and modern substitute for traditional logs and lava rocks. 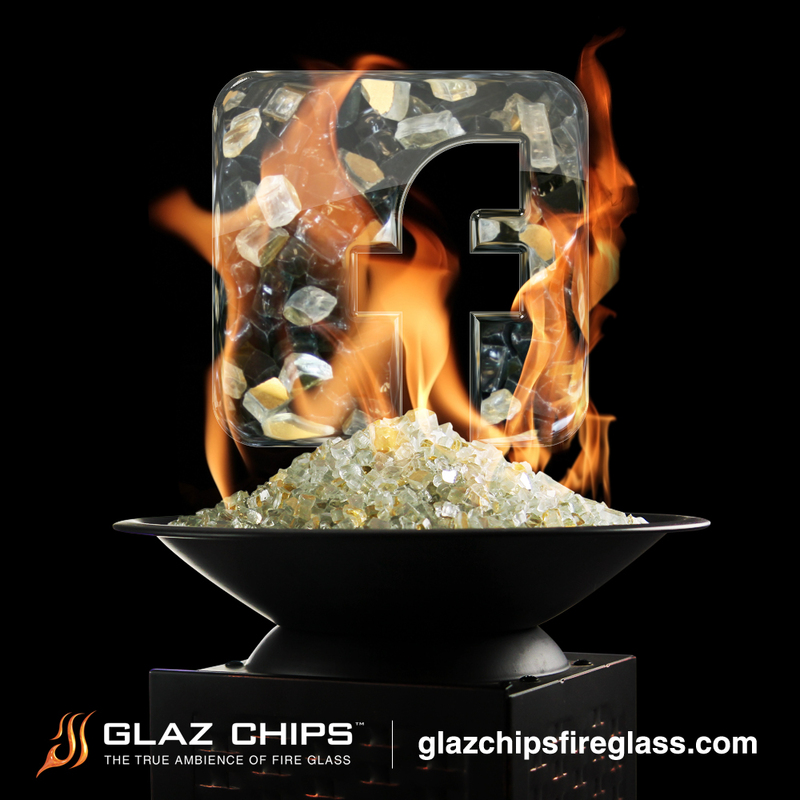 If you really want to captivate your guests attention or add a new design element to your firepit then Glaz Chips Fire Glass is perfect for you. What was once an expensive and rare item to purchase has become a full-out aesthetic that is now affordable. With a wide variety of vibrant colors and mixes, we are certain you’ll find a color that will mesh with your outdoor color schemes. If you’re wondering about a powdered blue ( Azuria Fire Glass ) or an earth type color ( Bronze or Bronze Reflective Fire Glass ) we have those available. You can get even more creative by selecting one of our mixed colors such as our Gold Mixes which coincidentally is on special for the month of October (2015). The opportunities in revamping your fire pit have gotten flexible with the variety of choices available. 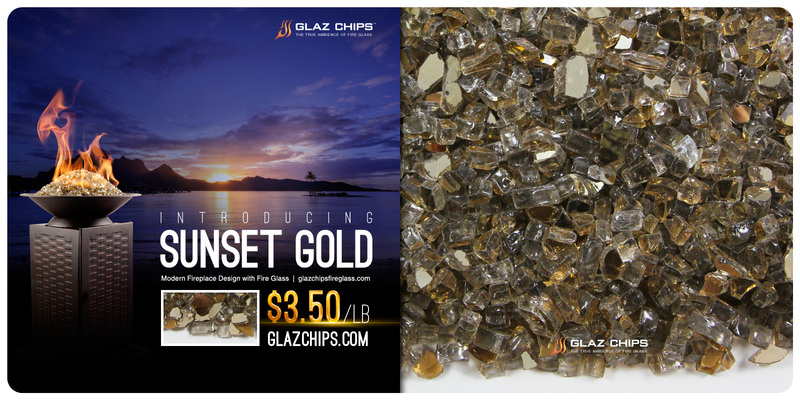 Visit us online at www.glazchipsfireglass.com to view additional colors, mixes and monthly specials. In case you’re not persuaded enough why not give us a call toll free (877) 371-1418 and ask for a free sample to be mailed to you. Why Glaz Chips Fire Glass ? A common question that is normally brought up is the exact origin of our glass. 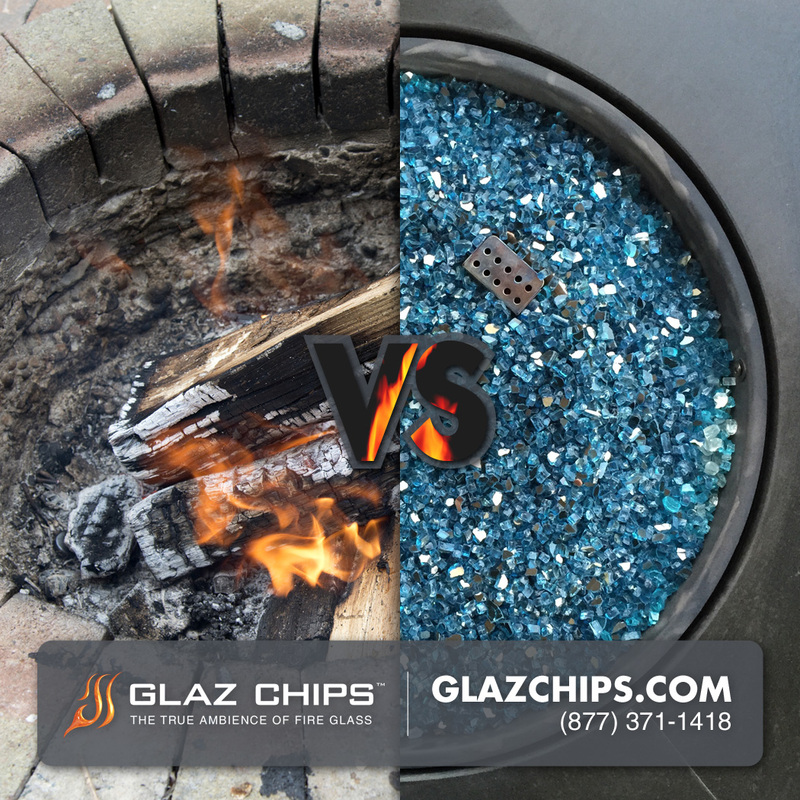 “Is your glass recycled color glass?” “Is this glass that is merely broken glass that’s put in a fireplace?” To the customers amazement there is an extensive process involved in fire glass. Fortunately for us we have our personal inventory of glass stock sheets in various colors that are set aside with the sole purpose of making Glaz Chips Fire Glass. We can assure you that none of the glass that we fabricate and package come from recycled bins. Each color that you see on our site is properly tempered with our own tempering furnace that prevents glass from popping or warping. By having our own tempering and manufacturing facility we are able to offer a top of the line product that embodies quality and affordability. Categories: decor | Tags: color scheme, colored glass, design, diy, exterior design, family, fire pit, firebowl, fireglass, fireplace, fireplace maintenance, firetable, gas firepit, glass crystals, glaz chips, october, tempered glass | Permalink.